If I could sum up Franklin County, Iowa (my home) in three words I'd say welcoming, innovative and genuine. Franklin County is a rural area in North Iowa with only 10,000 residents living within its borders and one working stop light ;) but we don't let our small stature get in our way of being inventive and bringing in people to experience our slice of heaven on Earth (Cue Field of Dreams - Is this heaven? No, it's Iowa.). I'm proud to call this spot in North Iowa my home and this weekend is one of the many reasons why it is such a great place. You can start at any restaurant and eat in any order. Tickets are required for this event; contact Dawn Collins at mainstreet@hamptoniowa.org or stop in at the Greater Franklin County Chamber of Commerce/Center One. 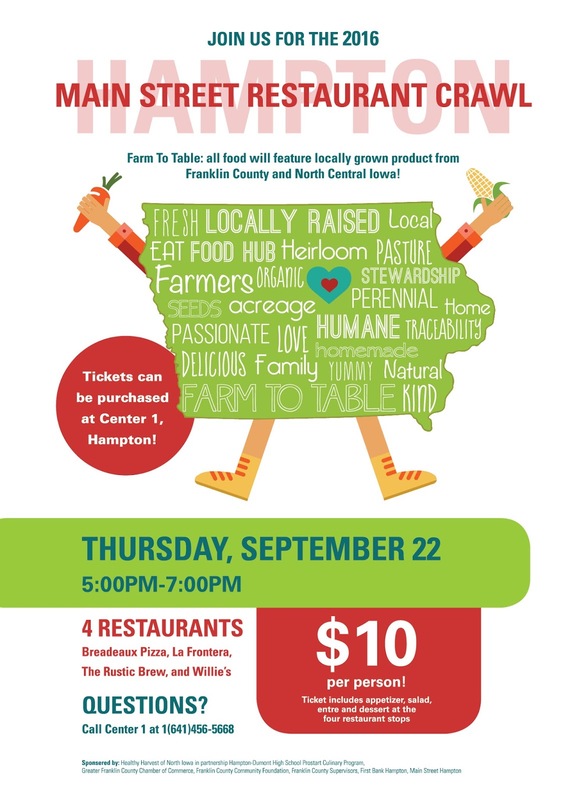 This event supports local food producers, downtown restaurants, Hampton-Dumont Bulldog Cafe students and Hampton-Dumont music students. Students involved with the Bulldog Cafe have helped test the recipes that will be featured Thursday night. They will also be the servers at each of the restaurants. Music at each restaurant will be provided by the school music students and local musicians. Does anyone else love the "Only in Your State" lists? 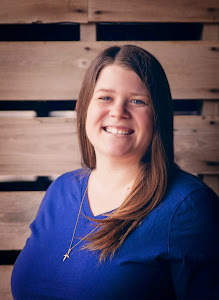 Well, I sure do and I am proud to say that Franklin County's, The Geneva Market, made the 6 Must-Visit Flea Markets in Iowa Where You'll Find Awesome Stuff list. The best parts of this fun, antique, vintage, upcycled market is that it happens in both the spring and the fall (the fall market happening this weekend) and the money raised through booth rentals and the $3 admission fee goes to the Geneva Betterment Committee. The Committee is currently working on repairing the Geneva School Auditorium, where they plan to host future markets, as well as wedding receptions, family reunions, etc. after renovations are complete. 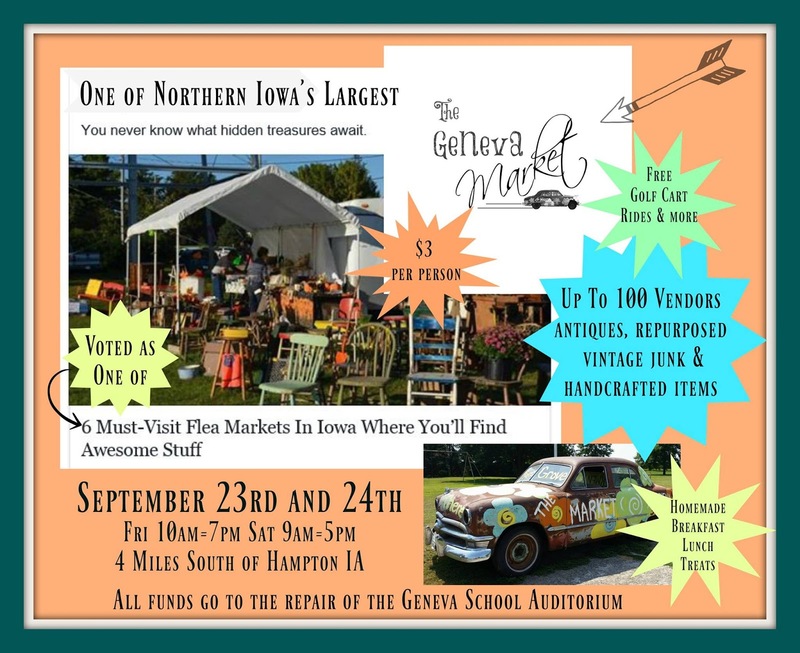 The Geneva Market is located at Mayne's Grove (west of Geneva and south of Hampton) and will take place on Friday, September 23rd from 10am to 7pm and Saturday, September 24th from 9am to 5pm. Be sure to check out their Facebook page to get a look at some of the up to 100 vendors that will be there this weekend. I have always come home with something fun from The Geneva Market. This spring I bought two, neat, metal art flowers for my yard. I bet this weekend there will lots of exclusive buys for your home, especially fall decor. Now this third reason is very near to my heart. 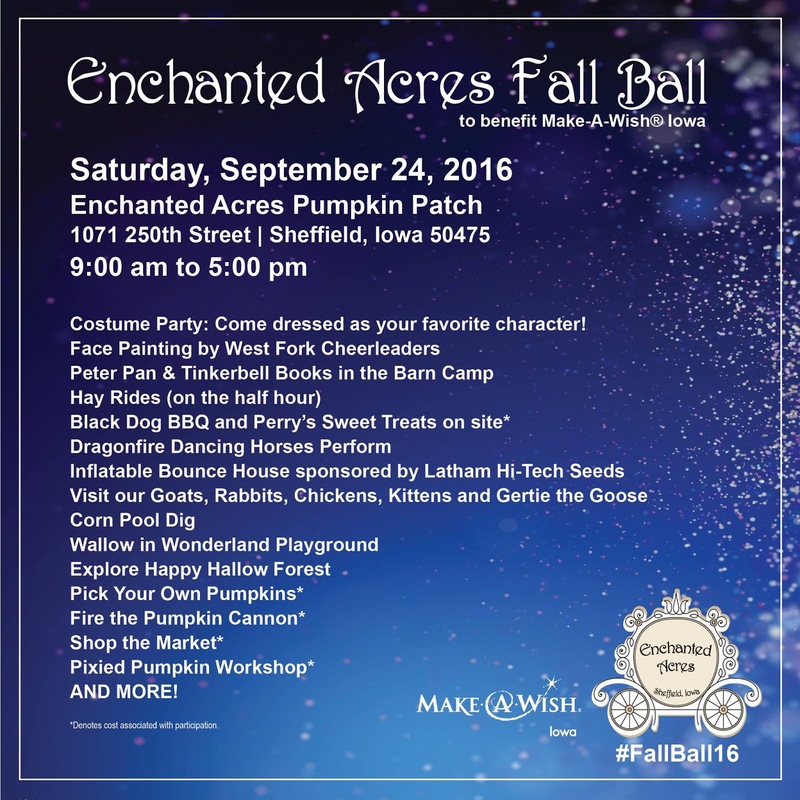 For the second year, Enchanted Acres, located outside of Sheffield, is hosting a Fall Ball for Make-A-Wish Iowa from 9am to 5pm. 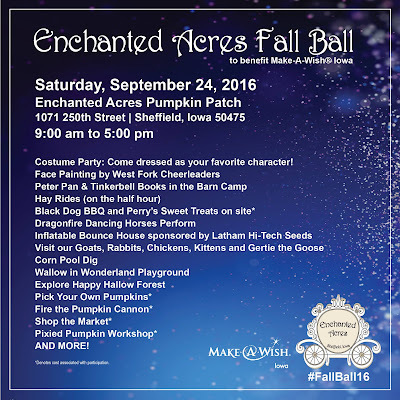 A $5 per person gate fee will be donated directly to the Make-A-Wish North Iowa Committee, that will go towards helping wish families. Besides supporting wish kids, you also get to have lots of fun! Everyone is encouraged to dress up as your favorite character for the all day costume party. Special attractions exclusive for Saturday include inflatables for the kids to play on, face painting from 9am to 1pm and Dragonfire Dancing Horses performances at 11am and 1:30pm. To learn more about all of the activities, check out the Facebook event. Enchanted Acres is a favorite fall destination for my family and I. There are a lot of fun opportunities, while still having that close-knit, comfortable feeling. Thank you to Enchanted Acres for hosting this event for the second year in a row! The final reason to visit Franklin County is happening this Sunday. The Fresh on the Farm, Farm Crawl has been happening the last few years and looks to be another great way to enjoy a beautiful, fall day this weekend. The Farm Crawl provides the public a fun, interactive opportunity to get to know some local producers and to taste the flavors of fall. At each farm there will be tours, food samples, and products to buy from Noon to 5pm. You can start wherever you want, but you'll want to make sure to visit all of the sites. This year's farms are Enchanted Acres, TownsEnd Winery in Hansell and Carlson Tree Farm in rural Hampton/Coulter. So what's stopping you? 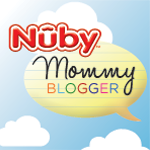 Be sure to visit my home this weekend for some great fall fun. What event are you really interested in? Remember to Comment for a Cause! I wish I lived a little closer, I want to do it all! My family and I traveled a lot with our camper when we were in High School and I loved going through Iowa. The country side in your state is very gorgeous.